Jeffrey Glassberg '77, founder of the North America Butterfly Association, is the author of "A Swift Guide to Butterflies"
JEFFREY GLASSBERG’S book, “A Swift Guide to Butterflies of North America,” helps amateurs identify nearly every butterfly on the continent, including this one, Strymon martialis, a Florida native that Glassberg photographed in its subtropical habitat. Jeffrey Glassberg ’77 has been called “the founder of modern butterflying,” and for good reason. He’s had his eyes trained on butterflies since he was 5, and he’s seen the world of butterflying transform from a small, insular group of enthusiasts to a flourishing population that more closely rivals the birding community — although the two groups, he notes, overlap in membership. 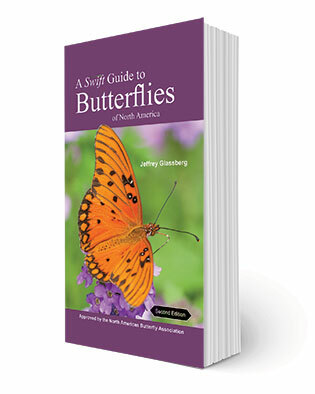 After co-establishing the New York City Butterfly Club in 1984, Glassberg spent his time in law school creating a butterfly field guide. (He got the law degree but never practiced.) He went on to found the North American Butterfly Association (NABA), which works to conserve butterfly populations, and has just published the second edition of the butterflier’s bible: “A Swift Guide to Butterflies of North America,” a comprehensive field guide to the continent’s most beloved insects. Why should we care about butterflies? Butterflies play a number of essential roles in the environment. They’re important pollinators, first off. They’re also an important part of the food chain. The caterpillars of butterflies and moths are the most important food source for North American songbirds — that’s what the nesting young survive on. But butterflies are also closely connected to humans for other reasons. They speak to people because of their beauty, their gracefulness, the ephemeral nature of their lives, and this magical transformation from a caterpillar to a butterfly. 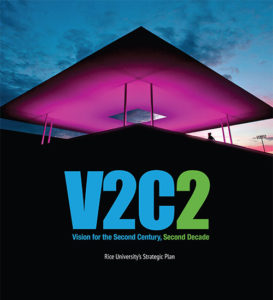 This transformation, and the possibility of change it implies, has captured the imaginations of people for centuries. Separate civilizations — including the ancient Greeks and the Aztecs, which had no other connection to each other —saw butterflies as the repository for human souls. The Greek word for butterfly is psyche, which is the same word they used for soul. They believed that before they were born, people’s souls took the form of butterflies. Tell me a fun fact about butterflies. A lot of butterflies smell through their feet. Most butterflies can only eat one kind of plant, or a very small number of related plants. So the female has to know where to lay her eggs, because if it’s not the right plant, her caterpillars are just going to die. She scrapes the leaf with her feet, and she can smell what it is; if it’s not the right plant, she won’t lay her eggs. This ends up being a critical point for butterfly conservation. For example, monarchs feed only on milkweeds; other species will only eat roundleaf ragwort or flat-topped white asters. If that food isn’t available, there are no butterflies of that species. NABA runs the National Butterfly Center in Mission, Texas, with hundreds of species of plants native to Texas that are important for butterflies. We went from having no butterflies to having 250 different kinds. How has butterflying evolved over the years? For a very long time, birds and butterflies were kind of viewed similarly, and there were roughly the same number of people interested in both. [John James] Audubon, in the early days, went out with a shotgun and shot birds and then painted them to show people what they looked like. At that point, shooting birds was the only way to know what was there. People wanted a closer look at butterflies, too, but instead of shooting them, which didn’t work as well, they used nets and killed them. After binoculars became cheaper and more available, around the end of World War I, you didn’t have to shoot birds anymore to get a good look at them. But butterfliers basically stayed with nets until the ’80s, when we found binoculars that worked for things that were close up — like, within 6 feet. Now, camera equipment is so advanced that even with a cell phone, you can get a picture of a butterfly that will at least let you identify what it is. So are the days of catching butterflies in a net and pinning them to a board behind us? There are still people pinning butterflies. It made sense a long time ago, and if you’re doing a particular scientific experiment, there are times when you need a specimen. But in terms of a hobby, going around killing things and putting them in boxes doesn’t make sense.